Let's Do It for ME! 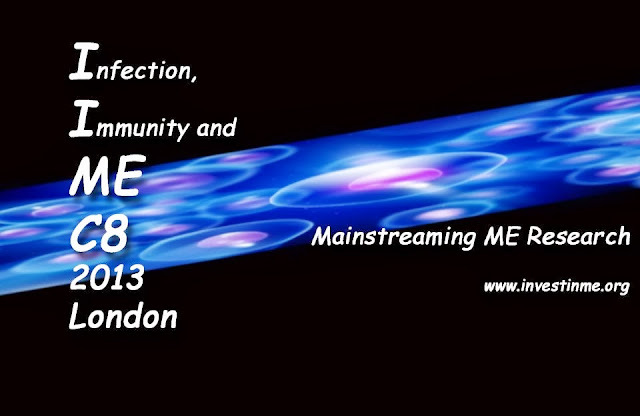 : IIMEC8 DVD now ready for delivery! 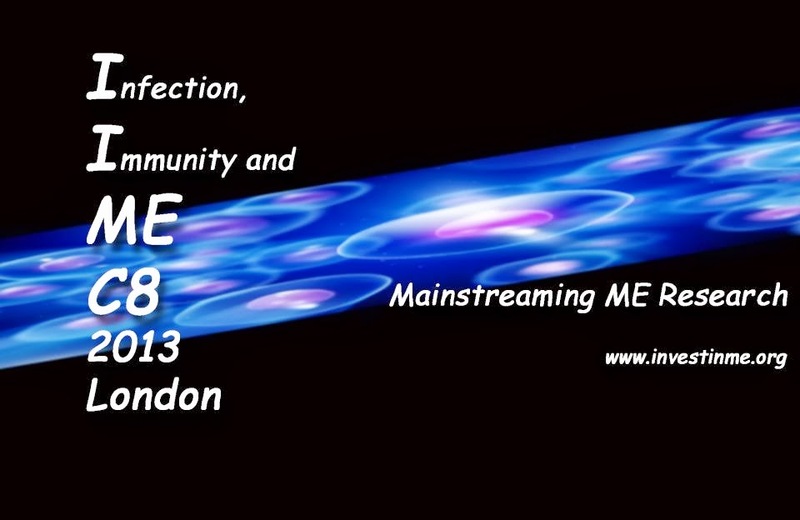 IIMEC8 DVD now ready for delivery! The 2013 Invest in ME conference DVD set is now to ready for distribution. They are sold at the lowest possible price: UK: £14, Europe: £15, Outside Europe: £16, all including p&p/shipping. To order and see details of the speakers and their presentations, click here. "Am going to order a number of copies of the DVD when it goes out, and can only recommend that people do likewise, so we can start rolling out the education that came out of yesterday's conference where Invest in ME had pulled together so much vital research under one roof. Fantastic. For me it was a huge big chunk of blue sky!! Keep positive all my friends and just hug the organisers of this event for what they achieved yesterday". "Ross came back effervescing with enthusiasm and praise for the conference and the speakers. He also kept dipping into the journal and reading me sections. I need to have a look but I have a suspicion that that may well find its way into local medical hands. Thank you IiME." You can read the online version of the 2013 conference edition by clicking here. Invest in ME replied: "Thank you to everyone who came and supported this conference. It was a very uplifting day in many ways. Also the biomedical research meeting was excellent, and the pre-conference dinner event. 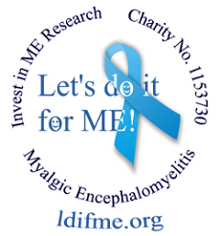 The charity is also appreciative of all the positive comments from the speakers - some of them first time to the conference - and their comments of support for IiME. Also wonderful support from Norway and Sweden - many patients and carers coming here in large numbers. Thank you again to all those supporting the same objectives - more high-quality biomedical research into ME, more education about the real situation with ME and more awareness of the need for more funding of bomedical research". A meeting of the European ME Alliance was held the following day and so there are many positive outcomes in the pipeline. 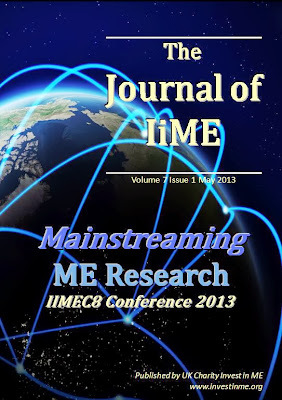 The IIMEC8 conference and Biomedical Research into ME Collaborative meeting (BRMEC) were the most successful yet. Mainstreaming ME Research was the theme and title of the conference - Infection, Immunity and ME - reflecting our view that ME research is finally accepted as part of proper science and deserving of consideration for careers in research and for funding. There was a great sense of optimism about the future of ME research. New researchers are learning about ME and becoming interested in this area of medicine. The data is pointing clearly to immune system dysfunction and the detective work is well underway to help solve at least some of the mysteries in this very complex illness. Many of the body's systems are involved and there is a great deal of work for researchers from many different areas in different countries. The situation of severely ill bedbound ME patients was also discussed by some of the presenters at the 2013 IiME conference. Some extemporaneous notes on severe ME from the conference, and after, are available here. Doctors simply do not know what to do with these patients so there is an urgent need for education. great efforts over the years. I would like to add my thanks to all these people, and in particular to both Invest in ME and the Alison Hunter Memorial Foundation. I must also thank ANZMES for giving me the opportunity to attend such a wonderful event." Click here to read Dr. Vallings full report in pdf. Click here to read Mark Berry's report on Phoenix Rising. Click here to order the order 2013 conference DVD. 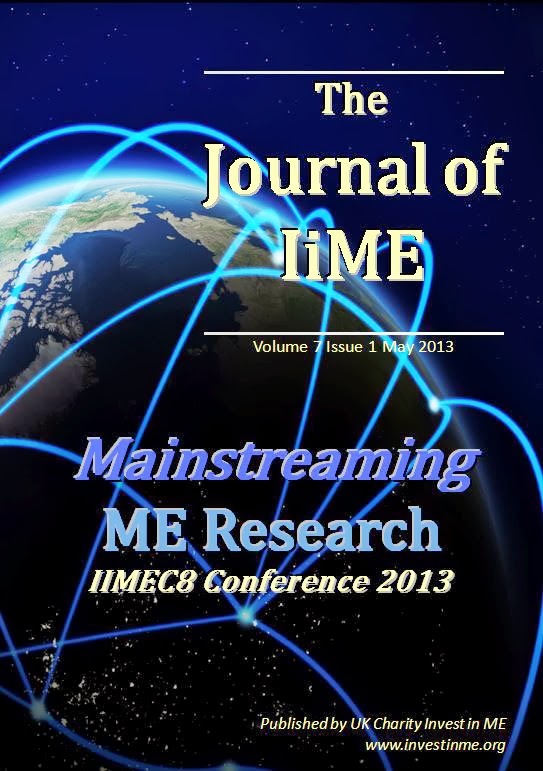 Click here to read the Journal of IiME 2013 conference edition online. Click here to subscribe to the Invest in ME newsletter. Press Release for IiME's Big Break win of £2000!